Last year, Mitsubishi announced the Lancer Evolution X would go away, to the chagrin of many performance car enthusiasts and some of our customers at Don Robinson Mitsubishi—but it isn’t gone yet! 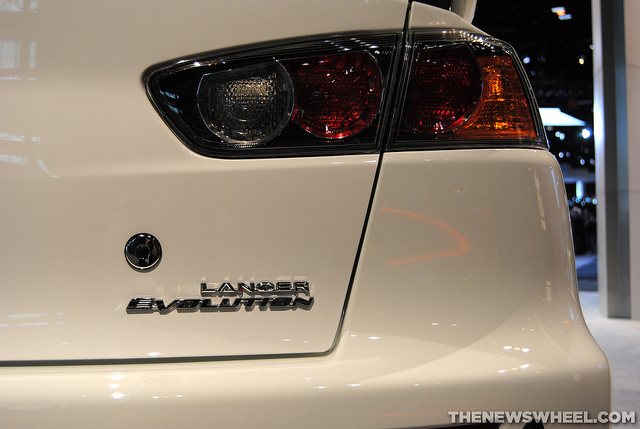 Before the automaker gives it the final send off, it’ll be building a limited amount of Lancer Evolution Final Edition models—and the first market lucky enough to sell them is Japan. Only 1,000 models will be built and sold there, but several more will be made for specific markets like the United States and Australia. We can’t wait to see what this special edition EVO will have here in the U.S. Under the hood, it’ll have the same turbocharged 2.0-liter four-cylinder engine, producing 291 horsepower and 300 pound-feet of torque, but with sodium-filled exhaust valves instead. Other goodies include Recaro seats, Brembo high-performance brakes, 18-inch BBS wheels, a dark chrome front grille, and black leather and red stitching inside. According to Mitsubishi, it won’t stop building the regular 2015 Lancer Evo X until all of its Final Edition models are sold—so maybe we can get them to keep making it by leaving one of them unsold! 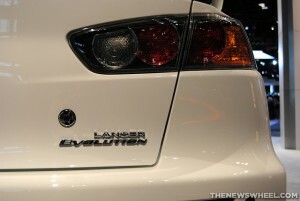 We hope the Lancer Evolution will be around for a little while longer! The HIS Automotive Loyalty Awards are presented annually to automakers, based on actual consumer transactions. The awards recognize automakers for standing out in their segments for their ability to retain repeat customers over multiple buying cycles. 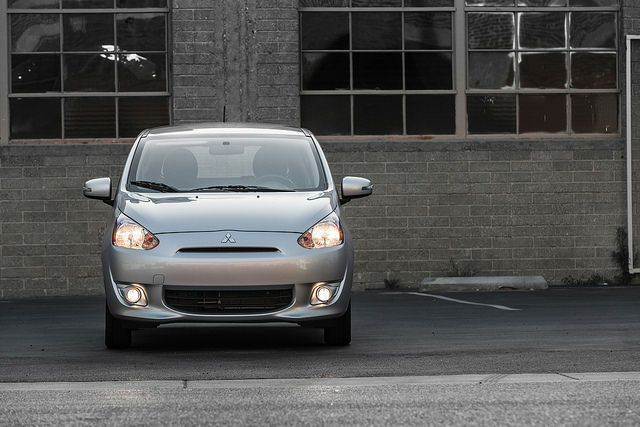 It’s no wonder Mitsubishi Mirage model loyalty is through the roof. The Mirage offers excellent fuel economy (37 mpg city and 44 mpg highway), an overall vehicle safety score of 4-Stars awarded by the National Highway Traffic Safety Administration, an array of features, and a starting price of just $12,995. Stop by Don Robinson Mitsubishi today to see for yourself why the Mirage keeps owners coming back to the Mitsubishi brand. We here at Don Robinson Mitsubishi took part in the Central Minnesota New Car Show at the beginning of the month and loved every minute of it! Nine dealerships throughout the St. Cloud area were involved with the car show and we were fortunate to be one of them! We had over 15 brand new Mitsubishis on display and were excited to show them off to guests and potential customers. Not only were vehicles on display at the car show, guests had the opportunity to take part in activities that included getting pictures with the Easter Bunny (what kid wouldn’t love that), testing out the new XBOX 360 racing game – Dirt 3, and driving remote controlled cars. We thoroughly enjoyed visiting with guests and having the opportunity to discuss our dealership and cars with them. The all-new Mitsubishi lineup is filled with top-notch safety and technology features that will appeal to everyone! For more information about this year’s Central Minnesota New Car Show or the 2015 Mitsubishi lineup, come visit us at Don Robinson Mitsubishi today! Goodbye winter; spring is finally here! With all the flowers and prelude to summer, the rainy weather also rears its ugly head. Driving in the rain comes with its own dangers. 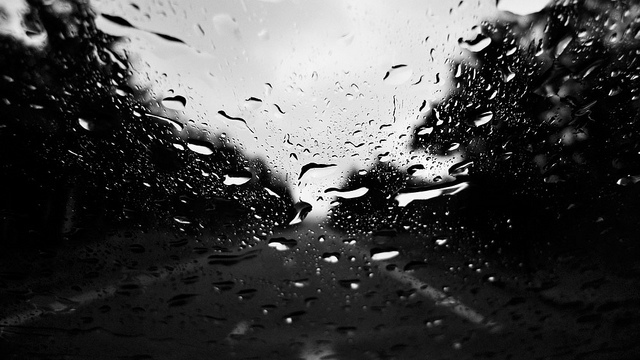 Skidding, sliding, and visibility are just a few things the rain effects. 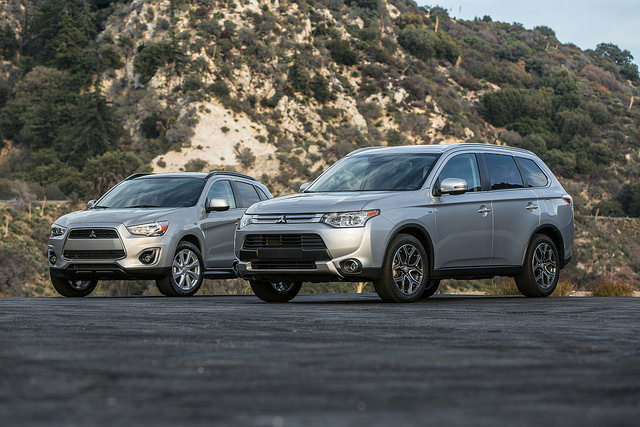 Here at Don Robinson Mitsubishi, we’ve got both the vehicles and the tips to get you where you need to go safely. Don’t use Cruise Control. In dry weather, cruise control is one of the best features of a vehicle. In wet weather, it can be a nightmare. While a driver can take their foot off the gas to regain traction, cruise control can’t. Don’t slam on your brakes. Slamming on your brakes can cause you to skid. If you’re already skidding, hitting the brakes can make your vehicle harder to control than it already is. Instead, take your foot off the gas and steer in the direction you want to go. Avoid moving water. Sure, splashing pedestrians who are surely already wet can be fun but it could cost you your vehicle. Moving water, especially water you can’t see the ground through, can sweep you right off the road. Turn on your headlights. Headlights can make all the difference to other drivers. Even if you have automatic, daytime running lights, turn them on anyway. They’ll help the driver behind you. Want more tips? Click here.